Sustainability has become a buzz-word in the 21st Century, as environmentalists and others concerned about the future of the planet strive to achieve wider awareness of the unremitting damage being inflicted on our natural surroundings. 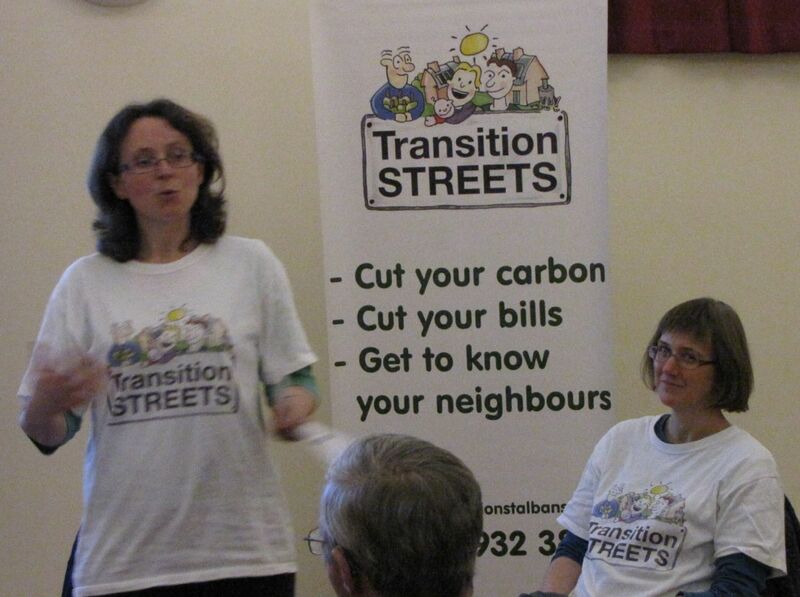 At a local level a volunteer group calling itself ‘Transition St Albans’ - itself part of a worldwide ‘Transition Network’ - is working to encourage people to adopt a ‘greener’ attitude to everyday living. 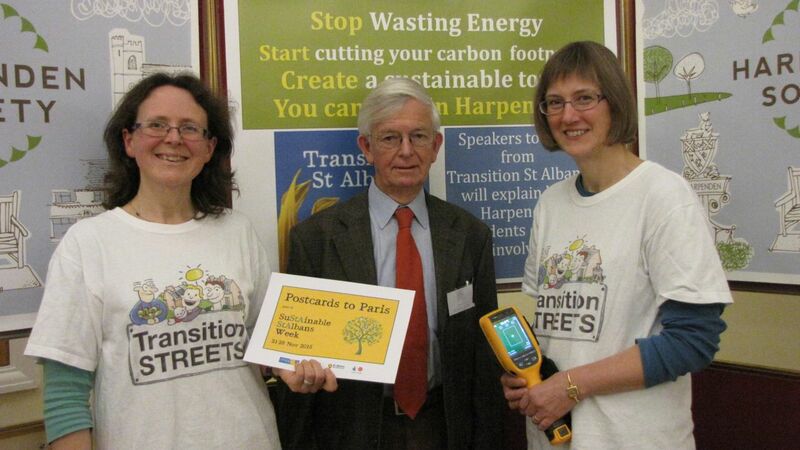 Two of the group’s leading members, Catherine Ross and Lesley Flowers, addressed a recent meeting of the Harpenden Society, ahead of what has been dubbed ‘SuStAinable StAlbans Week’, being held from November 21 to 28. During that week, which is being supported by Friends of the Earth, over 100 related events are being staged across the St Albans district, focussed on the following themes: Energy; Water; Food; Transport; and Natural Habitats. 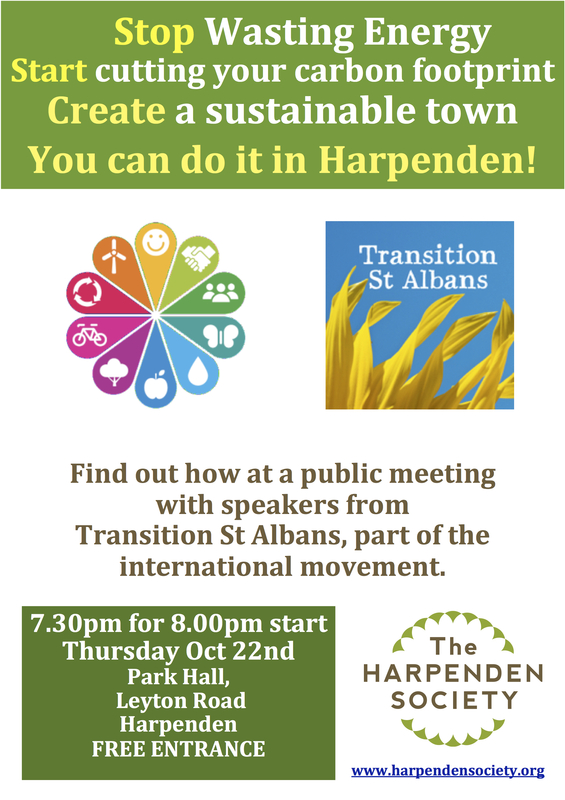 At the Harpenden Society meeting, the group speakers gave examples of the many ways in which greater environmental sustainability can be achieved locally. The issue of climate change inevitably arose and its likely dependence on fossil fuel use. There was a reminder that oil-derived products are being burned at a faster rate than new oil reserves are being found. For anyone concerned about heat - and therefore energy - loss from their homes, via doors, walls, windows etc, the local Transition group has acquired a thermal-imaging camera which can be borrowed to establish the most efficient insulation strategy. ‘Grow more of your own food’ was another key exhortation. For those who demurred at the challenge of taking on a traditional allotment, the Transition group speakers mentioned smaller vegetable beds available for private cultivation on a plot at Harpenden’s Hammonds End Farm, where an Open Day is planned for Sunday November 22, from 1 to 4pm. Another quite different aim of the Transition group is get young people involved in enhancing their living environment. For example parents, under the heading of ‘Playing Out’, are being prompted to organise occasional street closures - sanctioned by Herts County Council - enabling children to play games in the street with the same healthy freedom enjoyed by earlier generations.